The report provides enlightening data on the migration patterns in NY and its implications for policy makers. It should concern NY policy makers. We have regularly reported on the negative impact of high income taxes on creating a Best State. See New York Jobs: Will they come back? According to the Empire Center report, New York experienced the nation’s largest loss of residents to other states—a net domestic migration outflow of over 1.5 million, or 8 percent of its population at the start of the decade. This follows a 1.7 million loss in the 1990’s. Taxpayers are leaving New York. High income taxpayers, in particular, are leaving. 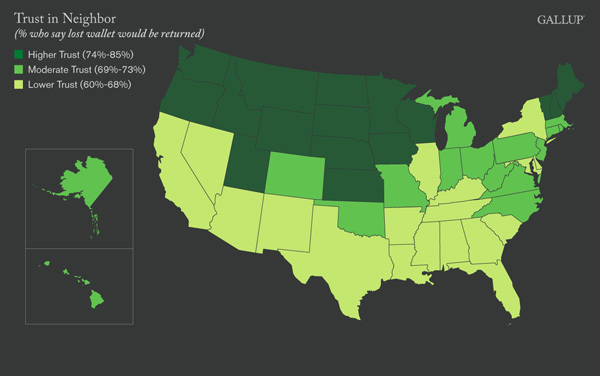 The States that benefited from New York’s migration losses were Florida, New Jersey, Connecticut, North Carolina and Pennsylvania. Florida gained over 314,000 taxpayers from NY representing a staggering $9.1 billion of tax base. It has no state income tax. New Jersey gained 167,067 taxpayers and $5.7 billion of tax base. North Carolina gained 82,169 and $1.85 billion. Connecticut gained 51,455 and $2.77 billion. Pennsylvania gained 88,961 and $1.52 billion. 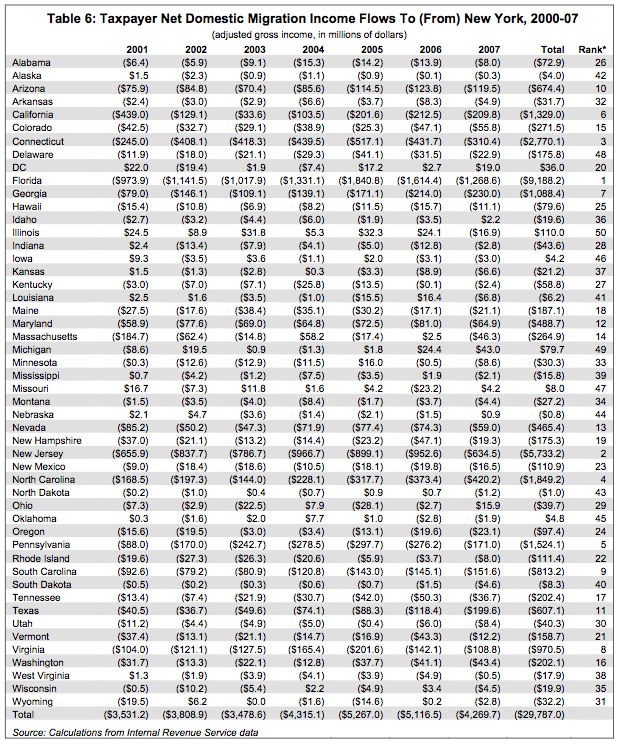 New York has lost over $29 billion in tax base in the 2000’s alone. Tax policy for states must be established with a view of what other options people have. People have choices within the US as well as other countries regarding where to live and be taxed. People are voting with their feet in NY. They prefer lower tax rates. The chart below on New York Net Domestic Migration by Year is from the study. New York has lost almost 1 million people in the 2000’s to other states. New York State is in a negative cycle downward. At some point it might look to draw more people in by lowering its rates. Unfortunately until it does so, people will keep leaving. The entire listing of taxpayer migration by state to (from) New York is listed below courtesy of the Empire Center for New York State Policy.